MOLPORT BLOG: Is this compound in stock? Is this compound in stock? A good client of ours just asked us to find another compound. A quick search of our database lead us to one supplier. This supplier’s catalog was updated in our database about half a year ago. This is not the freshest data, but most of the time this is sufficiently new information. So we rang up their sales people to get a quick quote over the phone. 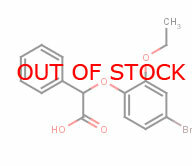 Unfortunately, however, they sold out just last month - there is a sudden high demand for this particular compound. The supplier has scheduled a new production run next month. The client can’t wait that long so we did a quick web search. Sure enough, we found the compound listed in several other databases and found one new supplier on Google. We contacted all these suppliers, 6 in total, and requested a quote. None of them had the compound in stock. We noticed that two suppliers list many compounds but when asked about their availability and prices they quote two months lead time. This is usually a sign that the compounds will be synthesized. Another three appear to be distributors or agents on one supplier. This supplier told us that they discontinued the product over a year ago. They had updated their catalog in most databases. But some websites continue to list it and their agents are not as quick with updating their catalogs either. Over the last month many scientists had inquired about this compound. They understood the scientists are quite desperate to get this product and are trying every possible lead available on the Internet. No. We could not find a supplier that had this compound in stock. All of the information we found just gave us a false hope of locating it. It is useful to know who used to produce this compound as they are the best starting point when you want the compound re-synthesized. But it would be best to know immediately that the compound is sold out. We understand that it is important to keep the Molport database up to date. The best way to ensure that is to update the database as frequently as possible. How frequently? Once a year? Once a month? Daily? Live connection to the warehouse would be the best, of course. Technologically we are probably still a few years away from that. Not that we don’t want to create live updates. Very few suppliers have the technology that supports this . Most suppliers provide updates on an annual or semi-annual basis. Hundreds of catalogs are listed on Molport. Some suppliers provide catalog downloads on their website, others send files on a CD; still others need to be contacted personally. And since there are no strict standards for the catalogs, every catalog is slightly different from the others. To update every catalog in the Molport database is quite a monumental task! And at the end of last year we started to fall behind. This year we have reorganized the catalog update. We aim to update catalogs in the online shop section at least once a month. We are discussing with suppliers the possibility that they will provide even more frequent updates. The vast majority of other products also have been updated, but there are still some catalogs that are two years old. Over the next months we will put extra energy into bringing all catalogs up to date. For your chemical sourcing to be as easy and effective as possible, Molport aims to become the most up to date commercially available compound database. Maybe in some other database you will find more suppliers listed. Our goal is to provide reliable information. If the compound has no suppliers listed on Molport, it is unlikely that any supplier has it in stock. I suppose that you have a lot of business deals nowadays. Do you move them online? I mean that you may use virtual data rooms for your deals or simply for data share.